The grapes and pears blend together to make this a colourful and tasty spread. Wash grapes. Separate skin from pulp. Add half a cup (125 ml) water to pulp and simmer covered until tender (about 5 minutes). Remove seeds by sieving. 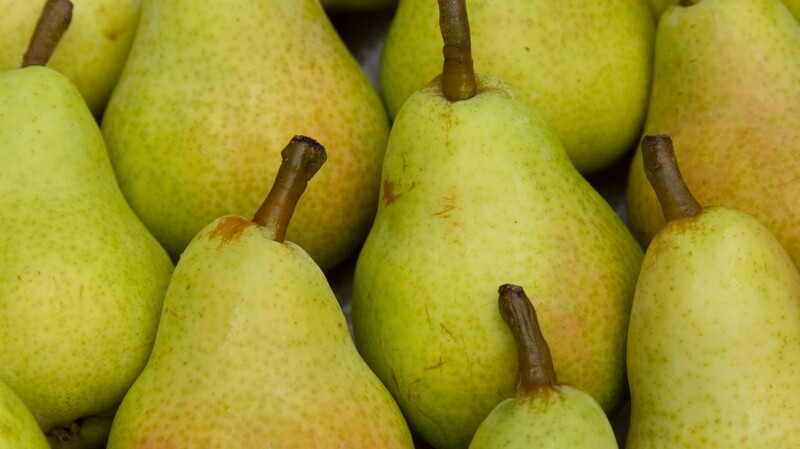 Peel and core pears. Chop or crush thoroughly grape skins and pears. Mix pectin, prepared grapes and pears in pan. Place over high heat and stir until mixture comes to a hard boil. Immediately stir in sugar. Bring to a full, rolling boil that cannot be stirred down. Boil hard, stirring constantly for 1 minute. Remove from heat. Skim off foam with a metal spoon. Ladle into sterilized jam jars. This jam is fat free and suitable for heart-smart diets.